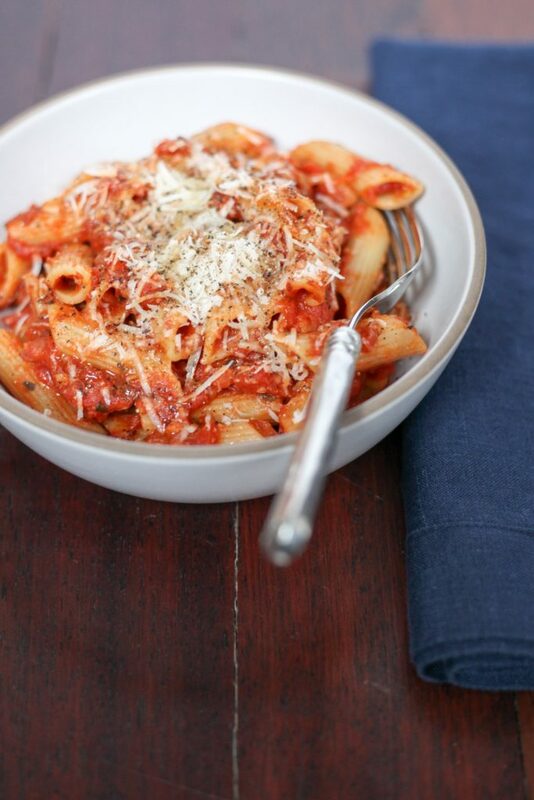 Spicy tomato sauce is deceptively easy to make, but it is a dish that, when done correctly, can fool your friends and family into thinking that you’re a professional chef. Check out the recipe below! In a large saucepan, add the pancetta and olive oil. Heat them up over medium heat, and don’t forget to stir once in a while. Wait until the pancetta is slightly browned. Add in the spices – red pepper flakes and garlic should be cooked for about 2 minutes, with some occasional stirring, until the garlic starts to become pungent. Afterward, you can toss in the tomatoes and oregano. Walk away from the stove and don’t peek! Let it simmer for between 25 and 30 minutes. At the same time, boil a large pot of water, adding in generous handfuls of salt, and then toss the pasta in until it’s cooked just a little bit less than al dente. Save about a half cup of the starchy pasta water. 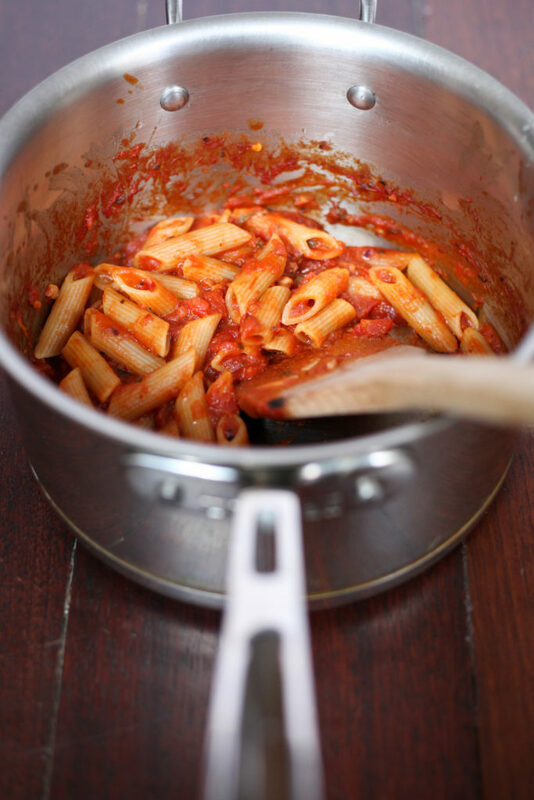 Keep seasoning that yummy and fragrant pasta sauce with vinegar, sugar, and salt until it tastes perfect. Add the pasta into the pot for a minute or two. Then add the starchy water if the sauce is too strong. 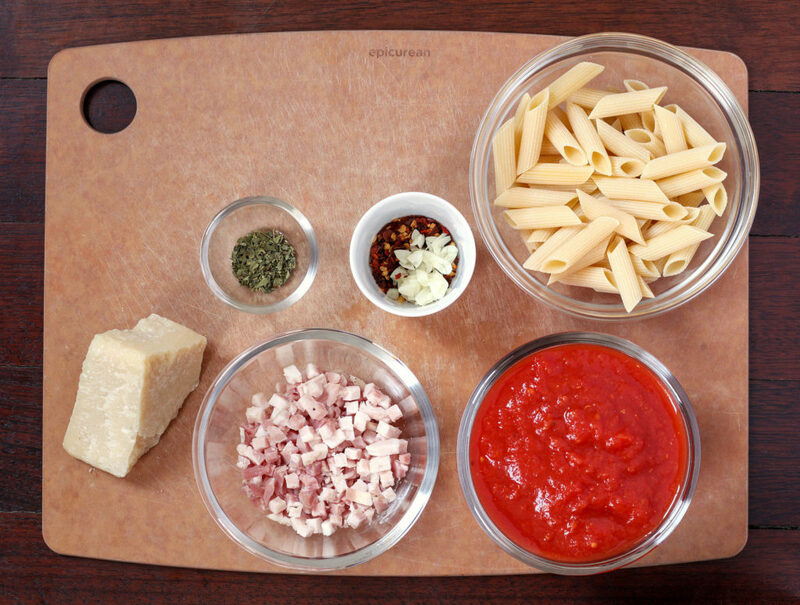 Add in your parmesan cheese, a splash of olive oil, and pepper for the ultimate taste.